Not sure if a 13 inch computer is portable enough for you, and prefer something smaller? Microsoft’s Surface Go is even smaller, and with the inclusion of 4G LTE, is properly portable. There’s certainly no shortage of laptops for you to pick from these days, and for the most part, they’re all built to be slim, slender, and slightly smaller than models you’ve probably seen a good decade ago. Computer manufacturers have practically mastered the art of the getting the size down, and now you can take your work and entertainment with you in the smallest of workable bodies, which is great. Generally, the smallest machines sit around the 12 and 13 inch screen size mark, making them properly portable, but what if you want something smaller. If you want to go for an even more diminutive size, you probably need to look at an iPad or other tablet focused on content consumption, but that’s not your only choice. What if you could take Windows on the go in a smaller format, and what if it could be properly portable with the inclusion of 4G LTE? You’d have the Microsoft Surface Go with LTE, a take on Microsoft’s popular Surface platform that delivers the Surface concept in a 10 inch take with 4G mobility. Microsoft’s miniature version of the Surface may be small, but the company has taken learnings from the previous several years of Surface development. 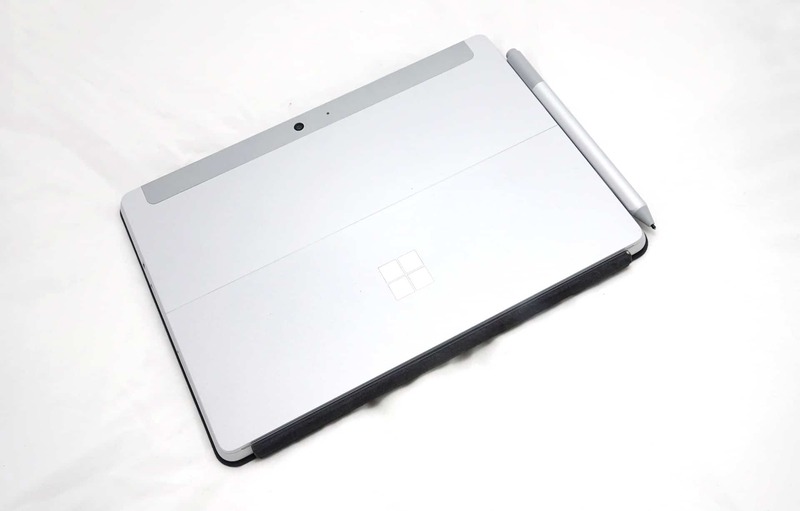 For starters, the Surface Go is more or less a smaller version of the Surface Pro, complete with the magnesium body, a surprisingly versatile kickstand, and support for the TypeCover wired connection at the base of the tablet. There’s little surprise about all of those features being included, mind you, because this is a Surface, just a smaller generation. 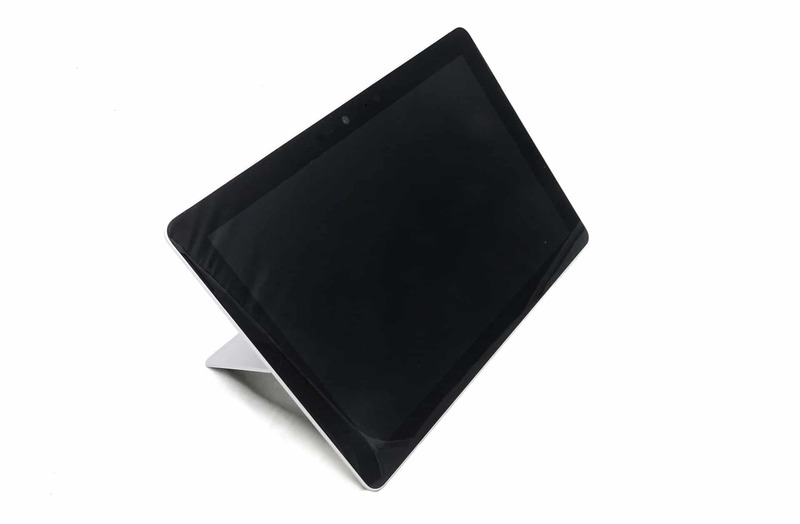 Like a Surface tablet normally would, the Surface Go packs in all of its technology behind a screen, in this case a 10.1 inch display sporting a resolution of 1800×1200. That’s a little more than your typical Full HD display, giving you a little more screen real estate to work with, and helping to make a desktop experience just that little extra more capable. You’ll also find Intel under the hood, though it’s not quite as powerful as the chips Microsoft uses in the full-size Surface Pro computers. Rather, it’s an intel Pentium processor, which in our 4G LTE review model was equipped with 8GB RAM and 128GB storage. Unsurprisingly, Windows 10 rolls out on the Surface Go out of the box, though it will initially first load with Windows 10 S, and you can later convert that to the full version of Windows 10 Home if you so choose. 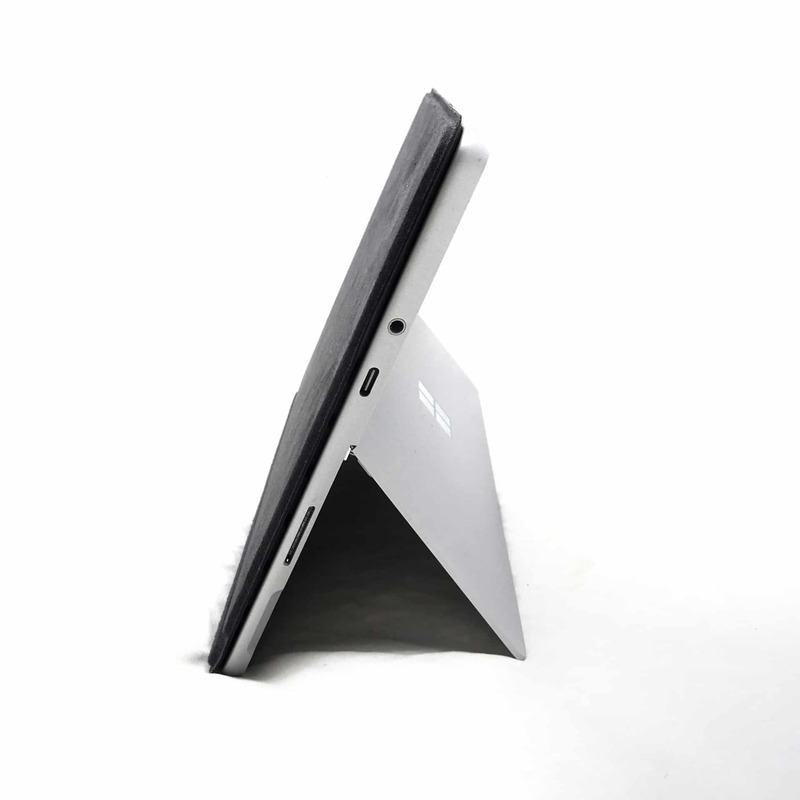 Connections on the Surface Go tablet also include one USB Type C and one 3.5mm headset jack, not to mention a microSD card slot, alongside that wired Surface TypeCover connection, though if you want to use the TypeCover connection, you’ll need an optional TypeCover keyboard, which costs $199.95. Microsoft’s Surface Pen is also supported, but like the TypeCover, also optional, costing $139.95 to let you use the pen as a wireless mouse of sorts. With the specs out of the way, it’s time to get to using the Surface Go, which is best if you’ve opted to buy the Surface Go Type Cover, something we’d see as necessary, but yet is still classed as an optional extra. Given how this one accessory basically turns the Surface Go into a fully-fledged laptop, it’s rather surprising to see that it’s “optional”, though it’s one way Microsoft keeps the price of the Surface Go low, we suppose. Get over that hump and buy one if you’re going to get the Surface Go, because it’s basically a necessary part of the usability. 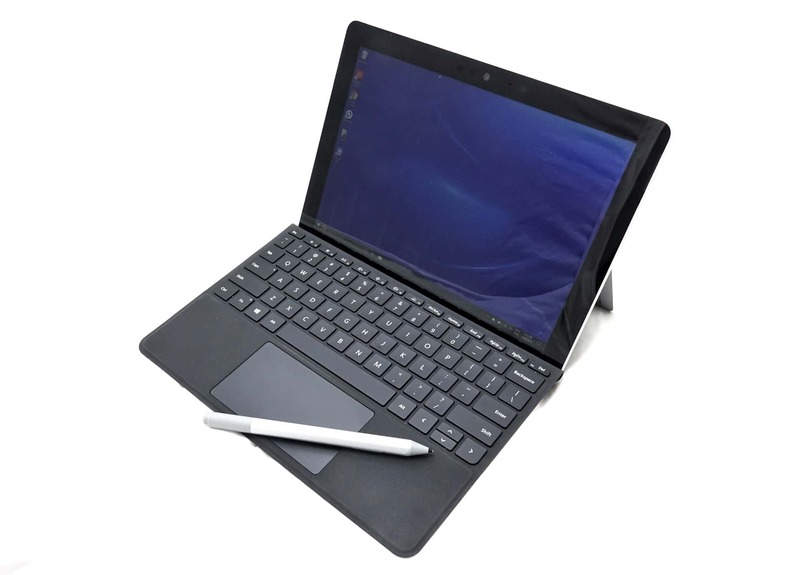 Oh sure, you can technically use a Windows tablet like the Surface Go without a physical keyboard, but the experience is much better with that TypeCover keyboard, turning what is otherwise a well-designed slate with a stand into a perfectly capable positively portable PC. The Surface Go TypeCover is surprisingly good for a small keyboard. We wish more keyboards were built this way, but we also wish it came with the Surface Go and wasn’t an optional extra. Armed with an Intel Pentium processor, we’re not expecting the very best performance in the business, but just enough to get office work, web surfing, and emails accomplished on the go. In fairness to Microsoft, packing anything larger than this chip (or something close like an Atom) wasn’t likely possible in a system of this size, though for the most part, it handles productivity purposes quite well. Start doing a little more like Adobe Photoshop and you’ll start to see some lag, while some of the writing apps we threw its way lagged momentarily when we were deleting text by holding down that backspace button. For the most part, however, the Surface Go is a surprisingly capable machine, and given what most folks will likely use it for — work on the go — we don’t see much of a problem. 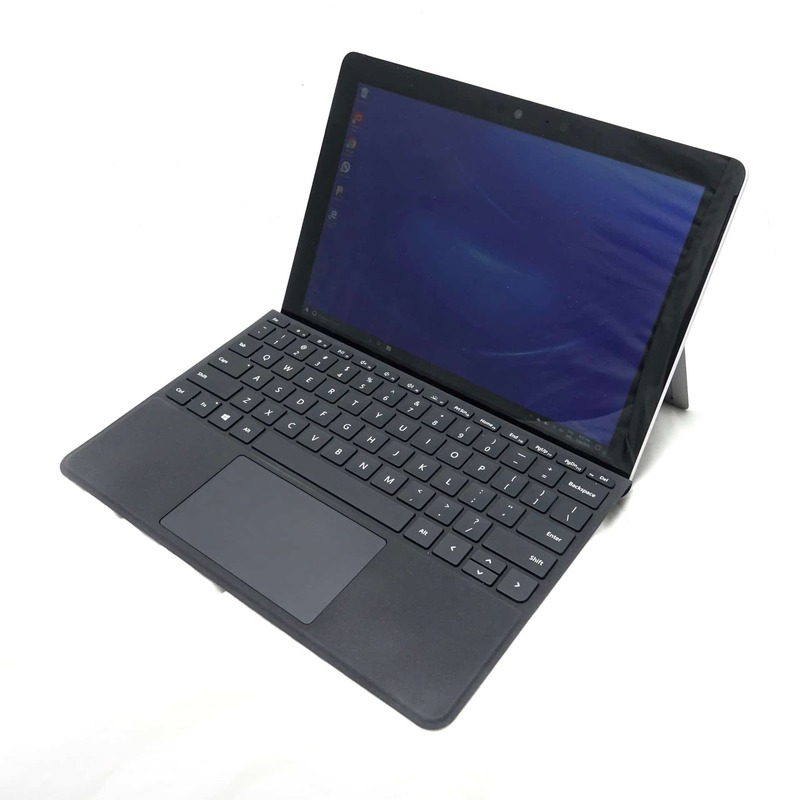 In fact, it even comes with something that makes it a truly portable PC, with the LTE variant of the Microsoft Surface Go meaning you can take it on the road when you throw in a nanoSIM and a plan. Testing the Surface Go 4G with on the Vodafone network in Sydney’s CBD, we found that mobile connectivity helped kicked the portability up a notch, with the tablet really coming into its own, making for a great portable experience. You simply don’t see many Windows computers with 4G slots, and you see even fewer with a screen this small. This positively tiny size makes the Microsoft Surface Go 4G a wonder to go, giving you the power of a full laptop operating system in the tiniest of sizes and a mobile connection. Sure, we’ll always want a little more power, but it’s hard to complain when the result is just this superbly small. Helping that along is a battery life which also handles its own fairly well, though like most tablets and laptops, your usage may vary. 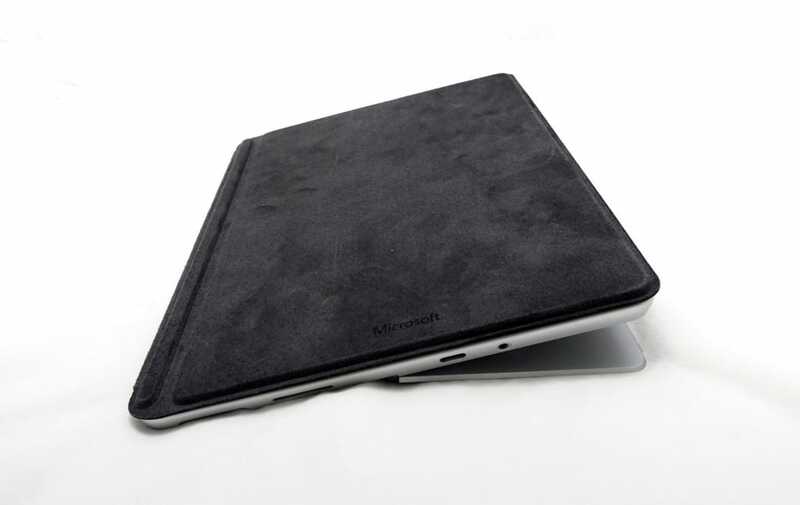 In our tests with the Microsoft Surface Go 4G edition, we kept the mobile connection up most of the time, connecting to WiFi only when we were home just to see what the system would do, and for the most part, we found it delivered a decent life out of the battery. Overall, we found life veering between five and seven hours of usage, though the more we used the 4G connection and pushed the processor with heavier apps like Photoshop, the more the life dropped. It helps that there are two ways to charge the Microsoft Surface Go, too, with the standard Microsoft Surface Dock connector being the obvious one (and the only plug the tablet ships with), while you can also use the same Type C USB plug you’re finding for most phones these days to charge the Surface Go, as well. That means if you happen to have a portable power pack and are running out of charge, you can rectify that situation with a Type C cable much like you would a phone. That’s an easier charge than using the Surface Dock connector, even if it does take up the one USB port the Surface Go offers, though we doubt you’ll mind. 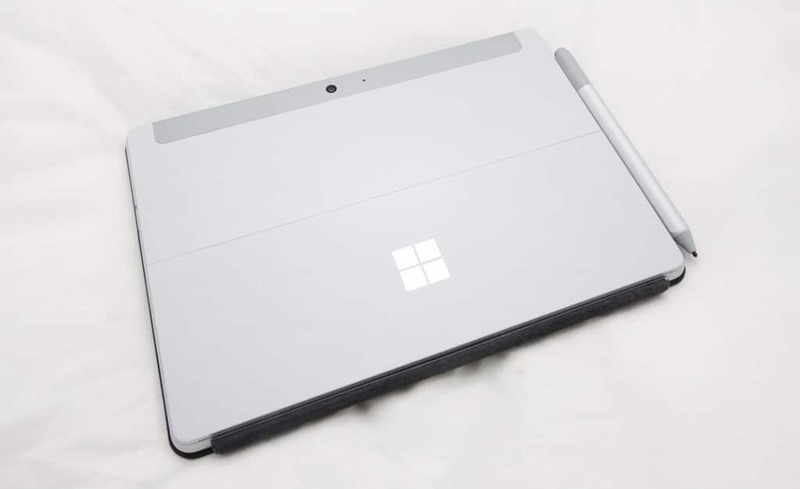 This Type C port is just one more reason to fall in love with the Surface Go 4G, especially as it’s rare to find it on Microsoft’s Surface range at all. But while it’s easy to fall in love with Microsoft’s tiny tablet to go, it also comes with a mighty big caveat: with a price of $999, the Surface Go LTE is not cheap. Not by a long shot. Granted, that’s only a cost of $160 on top of the standard 128GB storage and 8GB RAM Surface Go, which has identical specs whether you go with 4G LTE for $999 or without and only WiFi for $839. 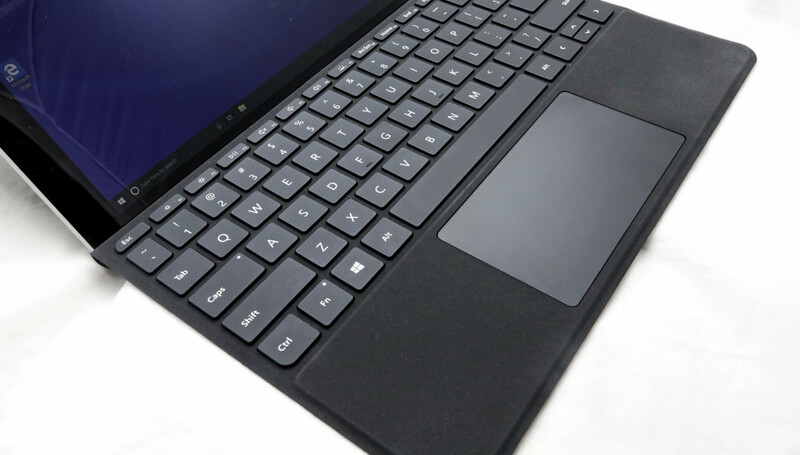 However, that’s also without factoring the cost of the TypeCover keyboard and Surface Pen, the latter of which you could probably skip at $140, though the former you’d definitely want, as it turns the 10 inch Surface Go into a real computer with a usable keyboard. And at a cost of $200, that raises the Surface Go LTE to a price of $1199 locally, a lot of money for what is basically a 10 inch low-to-mid-range tablet with 4G on-board. That said, it still comes in as a fairly cost-effective 4G Windows tablet, something that doesn’t come along very often. The inclusion of 4G LTE technology can easily blow out the cost of a computer, and you see that with tablets and laptops across the board. But at what is basically $1200, Microsoft’s Surface Go LTE makes for one of the more compelling takes of a 4G Windows computer simply because it is comparatively inexpensive, and it’s also comfy to use, too. So what needs work, and what should Microsoft desperately improve? We definitely think the bezels on the Microsoft Surface Go need to go on a diet, as they’re some of the thickest out there. The black frame is pretty hard to miss, and given the size of the overall device, we think Microsoft could pack in a slightly bigger screen into that fairly slim frame if it just pulled back on the bezels. Fortunately, the screen resolution is bigger than Full HD, so it’s not too much of a problem, at least for us. However the performance can lag at times, something we attribute to the Intel Atom on-board, especially in regular Windows 10, which we suspect you’ll be forced to migrate to when you realise just how “meh” Windows 10 S is. Still is, even. It’s been like this for a while. For those who don’t know what Windows 10 S is against plain old standard Windows 10, the Windows 10 S variant looks the same and mostly works the same, but prevents you from installing any game or application not downloaded through Microsoft’s Windows Marketplace. In theory, this makes Windows a little more secure, as it means internet nasties that install by accident can’t do that. As great as that may be, it also means you can only install what’s going like found on the Windows app store, and only what you have bought a license for through that app store. For instance, you can’t download and install Google’s Chrome web browser because it’s not on the Windows Marketplace, nor can you get any of the professional Adobe apps if you need them. You can get Adobe’s Elements apps in Photoshop Elements and Premiere Elements, but if you bought the apps through anywhere other than the Windows Marketplace, the license doesn’t transfer, as the app purchase seems to need to be made through the Windows store, and not somewhere else. Granted, not everyone is going to care about Adobe apps on such a small laptop, but we do find out glaringly odd that Microsoft still hasn’t released its Visual Studio apps to Windows 10 S well over a year into the availability of 10 S.
It speaks volumes about Windows 10 S when even the maker of the operating system hasn’t really gone full in and released anything for it, leaving you in the predicament to stay with a light version of Windows that doesn’t do much, or switch to Windows 10 standard and get all the functionality you’ve come to expect from a proper Windows PC. And that’s what you should do, switching from Windows 10 S to Windows 10 Home, a process that takes less than a minute and isn’t reversible, but doesn’t matter either, because once you’ve made the switch, you’ll never think about that useless version of Windows 10 that the Surface Go arrived with, and get on with your regular computing needs. You know, the way you actually want to. The Microsoft Surface Go is a great machine, but it’s even better when you can install everything. And the only way to do that is to move past Windows 10 S.
The smallest of Microsoft’s current Surface range, we had more fun with the Surface Go then expected. There’s definitely a lot going on with Microsoft’s pint-sized portable, and more than you might expect. Yes, it’s definitely a quaint alternative to the full-sized Surface, though it’s more than a mere mini model, which it can come across as. Indeed, this is a tiny tablet to go, and one that folks after truly terrific portability will go for. 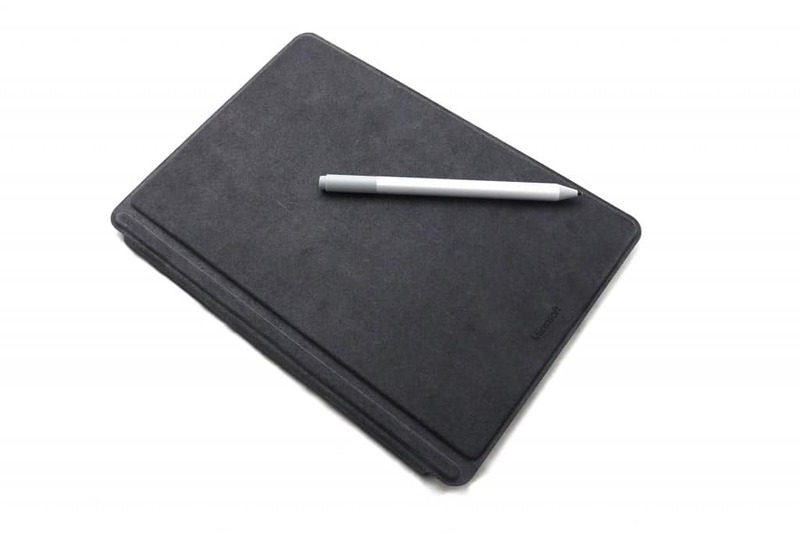 Like an iPad, this tablet is made to go, and it also comes with Windows, making it better for some. While you’ll still need to spend on Microsoft’s accessories which can blow out the cost and convert from Windows 10 S to the full version, this can really make the Surface Go transcend a mere basic portable to become something useful. 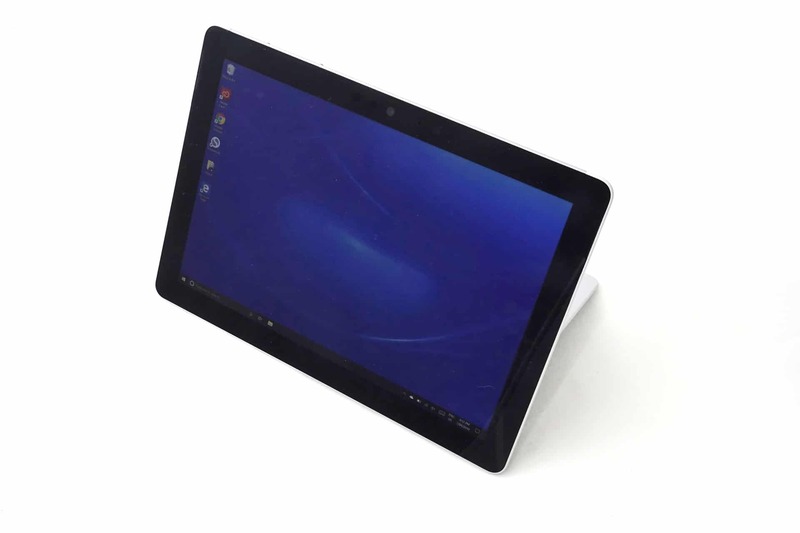 Simply put, this isn’t just a content consumption tablet, and is more a full Windows PC. It just also happens to be superbly small. Recommended.